The practice of relational leadership is essential for dealing with the increasingly urgent and complex social, economic and environmental issues that characterize sustainability. Despite growing attention to both relational leadership and leadership for sustainability, an ethical understanding of both is limited. This is problematic as both sustainability and relational leadership are rife with moral implications. 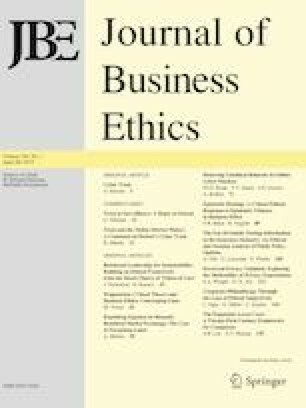 This paper conceptually explores how the moral theory of ‘ethics of care’ can help to illuminate the ethical dimensions of relational leadership for sustainability. In doing so, the implications of ethics of care more broadly for the practice of relational leadership development are elaborated. From a caring perspective, a ‘relational stance’ or logic of effectiveness can be fostered through engaging in a reflective process of moral education through conversation. In starting this dialogue, we can begin to build capacity for relational leadership for sustainability and, thus, support the development of individual well-being and organizational and societal flourishing.